its finally here, the much anticipated closet blog post! I have gotten a ton of questions on instagram about my closet and although it is still a work in progress i Wanted to share some details and answer some questions on my closet/beauty room. I have to give a huge shout out to my fiancé for building this IKEA closet for my birthday 2 years ago, I definitely cant live without it. 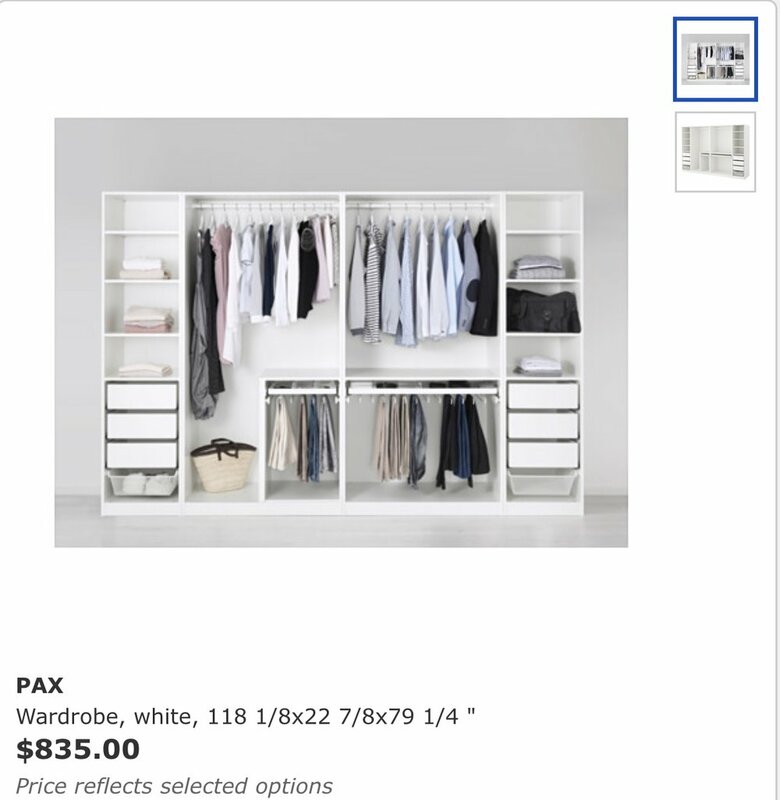 Now If you were like me you probably thought having a closet unit like mine would cost thousands of dollars and would only make sense if you were living in your forever home and didn't plan on moving again. luckily I have found a way around both of those issues with my ikea units. A few years ago i took my first trip to IKEA and fell in love with the closet section of the store, I told myself that whenever I could afford a two bedroom apartment I would be back for the closet of my dreams. Fast forward two years and I was moving into a two bedroom apartment in the D.C Metro area which is no easy feat and back to IKEA I went. I started with two units and added on over the past two years, I currently have 5 units in total of varying widths. i have listed below how my units are organized from right to left! unit 2. long dresses/coats/dress pants, inside the drawers i have graphic t-shirt, hats and scarfs. 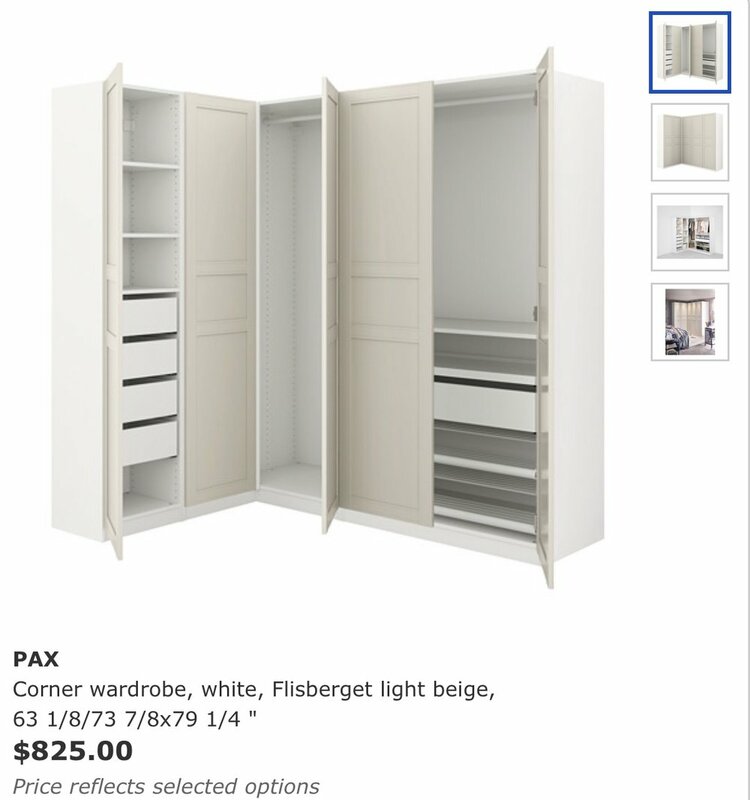 What I love about these units are the options, you can customize the closet you've always wanted and make sure it fits your needs. The units come in dark brown, white, or a natural wood. You can also choose your height preference, I have the tallest option. Now if you really want to step up these units you can customize them to elevate the look by adding doors to the front, crown molding to the edges, and wall paper to the back of each unit. Depending on your preferences these are all great ideas but will definitely make it harder to change them around. Here are a few of my favorite details from my closet. I hope this helps if you were thinking about closet options. Feel free to like and share this post for any babes in need of some closet inspiration! Below are a few examples of storage units similar to mine, but the price will depend on the height you choose, the number of storage units you need, and the amount of rods versus shelves. I also think its a great idea to add on over time, you don't have to start with an entire closet. You can add units every few months depending on your budget. Also these units are movable so you don't have to be settled in your forever home to purchase, they are basically large pieces of furniture so they can be moved.